NGLCC helps certified LGBT Business Enterprises (LGBTBEs) move their businesses along the certification continuum toward those relationships that could offer them the opportunity of a lifetime. Social Driver had already redesigned NGLCC’s brand and main website so it was time to re-engenier their online certification process. 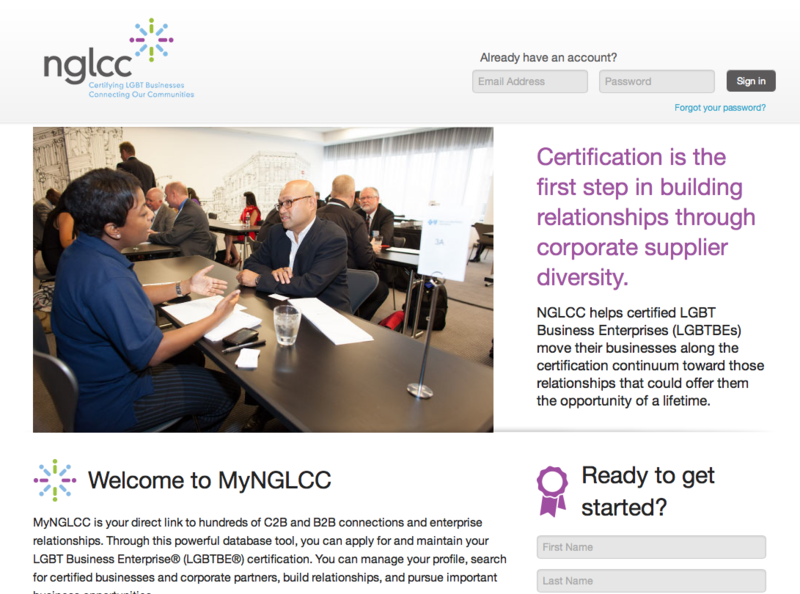 Working with the clients and dev team, we constructed an intuative certification process utilizing the look and feel established by the main NGLCC website, creating a new product called MyNGLCC.